KCS westbound MSHAL approaches Metro Jct, Texas on the KCS Alliance Subdivision northwest of Denton, TX in April 2005. 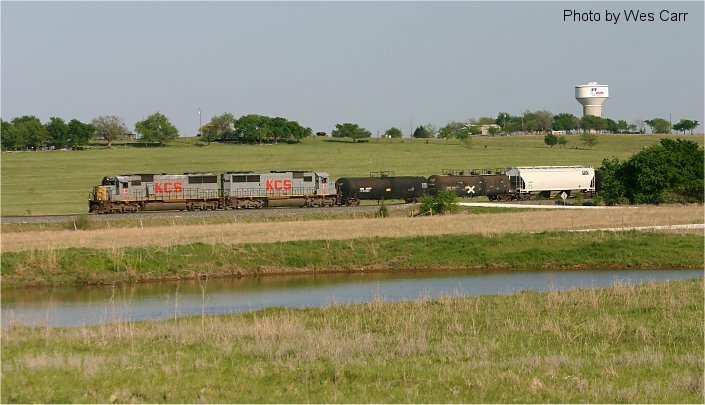 The train is operating over the former Santa Fe Dallas Subdivision, which KCS purchased in 1995. At Metro, the train will turn south on BNSF's Fort Worth Subdivision to reach BNSF's Alliance Yard.